The Instructions in this page are mostly explained with videos. For quick references, please check out Quick Help within the app. All Notation Tools are here. More (top left) will show Additional Tools. Open PageView, chage the layout to print or share it. 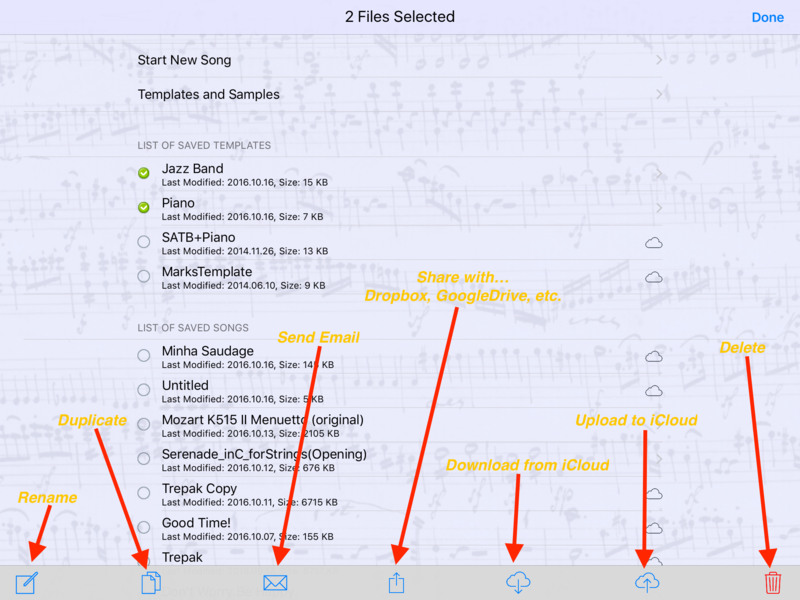 Open Menu for all Settings (Score, Track, Playback, App), File Access, Data Exportion & Help. Select a location & the value at once. Select a value & the location separately. To open Score Settings, select Menu - ScoreSettings in EditorView. To open Track Settings, select Menu - ScoreSettings - TrackSettings in EditorView. Note: Although the video is shown with version 2.0, the operation in Track Settings is exactly the same. by showing the process of making Piano Grand Staff. 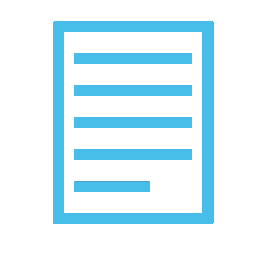 Touch + Hold an item for a second, then arrows ( << >> ) will appear. Tap an arrow to move the item. Select other location of screen to deselect the item. This command is always locked until other command is selected. You can change Start/End point of Slur with Item Mover. 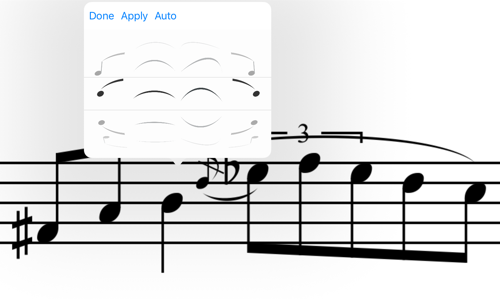 You can change the stem length of Note/Grace Note. When you select CM7, chord entry bar will appear. When you select a button, Chord Selector will appear. 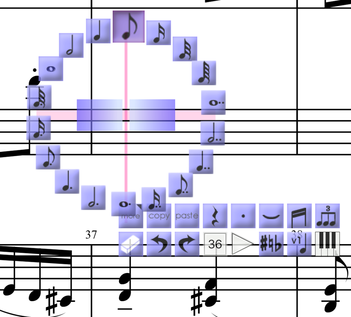 Create a chord symbol, then select OK.
To Erase a chord symbol, select Eraser, then select a chord symbol. 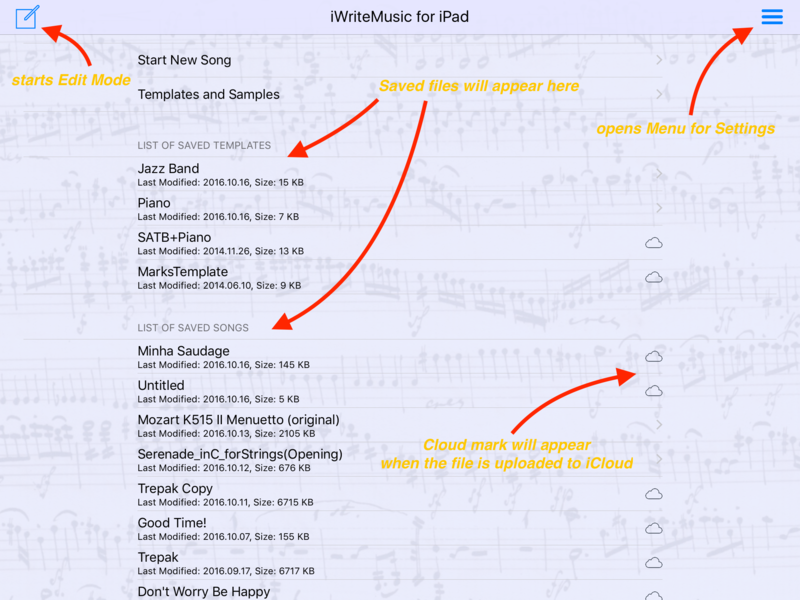 Select a note to start writing lyrics from, then Lyrics Writing view will appear. Hit 'Return' to enter / update lyrics. Use to move entry location. Select 'Line' to change line1 to line 10. To modify, select a note and line number of the syllable you want to modify. To erase, select Eraser, then select a syllable. Go Score Settings to change Font size. Select text input location with horizontal + vertical lines, then Text Entry View will appear. To modify text already entered, select the text. To remove, select Eraser, then select a text. Select two notes to set the region to transpose. then set how you want the notes to move. This command has no way to clear / remove. Use Undo. Grace Note Entry is the same as Note Entry except you don't need to select the duration. Select the location with horizontal + vertical line. The shape of Grace Note will automaticall become to 16th-type when Multiple Grace Notes are enterd. Select the first and the last notes to set the region. Can't including any rests in the group. To Remove it, select Eraser, then select the space between the notes. Select a type, then select a note. To remove, select Eraser, then select a mark. Set start and end locations with horizontal+vertical lines. 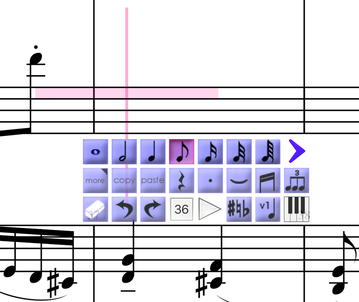 Select a type, then select the first and the last notes to set the region. To Erase it, Select Eraser then select a tempo mark. Select the first and the last bar to set the region. In EditorView, Multi Bar Rest doesn't appear but is shown as the indication (ex. 4/15). In PageView, Multi Bar Rest will appear only when you show the single track. but it will be automatically removed when any modification is made on any member of the group. 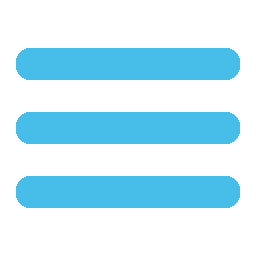 To hide a rest, select a rest with blue X mark. Hidden rest won't appear in PageView, but appear in blue color in EditorView. To set a hidden rest back to visible, use this tool and select it. To Erase it, Select Eraser then select a mark. Select a type, then select an empty space on staff. Select a notehead style, then select a note head. No way to remove. Apply Normal Head Style to set back to normal. To remove, select Eraser, then select a Brace/Bracket.